Aya Suzaki is a Japanese voice actress, singer, and narrator from Ishikawa prefecture. 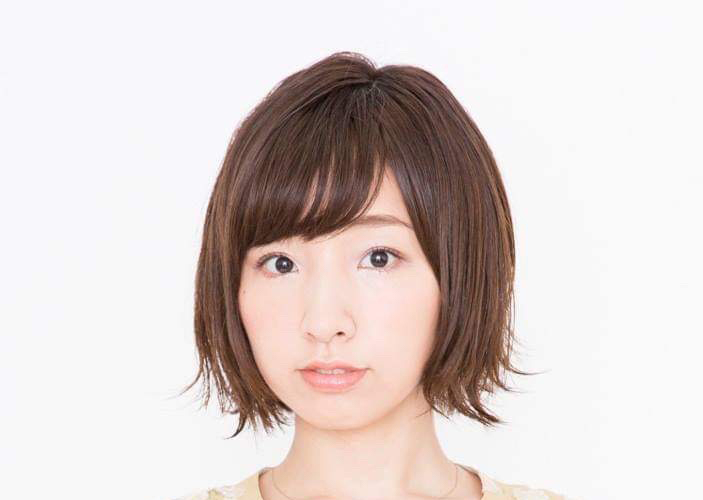 While a student at Tokyo Gakugei University, she entered the Japanese Narration Acting Institute, and debuted as a voice actress in 2010 with the anime Bakuman. She joined the agency I’m Enterprise in 2011. Affectionately known by her fans as “Ayappe”, she has voiced several fan-favorite characters such as Minami Nitta from The iDOLM@STER Cinderella Girls, Mako Mankanshoku from Kill la Kill, Tamako Kitashirakawa from Tamako Market, Mikuru Natsuki from Aikatsu!, Shizuka Hoshijiro from Knights of Sidonia, the Akatsuki-class destroyers (Hibiki, Akatsuki, Inazuma, Ikazuchi) from KanColle: Kantai Collection, Selina Sherlock from Trinity Seven, and Kana Tachibana in Brynhildr in the Darkness. Furthermore, as an artist she has performed theme songs to many of the aforementioned shows and more such as Assassination Classroom, The iDOLM@STER Cinderella Girls, Brynhildr in the Darkness, Tamako Market and Tamako Love Story, and Trinity Seven. In video games, she has voiced Elphelt Valentine in Guilty Gear, Marina Tsukishima in BanG Dream! Girls Band Party!, Chai Xianghua in Soul Calibur VI and more! Some fun facts about Aya Suzaki are that she enjoys scuba diving, and is a certified Open Water Diver from the Professional Association of Diving Instructors (PADI). Her other hobbies include playing the trumpet, soft tennis, and flower arrangement. This will be Aya Suzaki’s first appearance at a North American convention.